Theatrical properties, as they are known in full, are objects used by your talent, clients or subjects. The primary aim of props are to enhance the shot realism. They add a sense of ambiance or character to the scene in addition to the clothing and the rest of the set. The Oxford English Dictionary identifies the first use of “props” in 1841. However, the use of the term “properties” dates further back. Its use in a theatrical context focuses on a property of the theatre company that owns the item. This gave rise to the term “theatrical property”. The term is not normally used to describe clothes. Originally, costumes were owned by actors. They were not properties owned by the theatre company. It is other items that are props; they are the items or objects held or used by actors during the shoot. 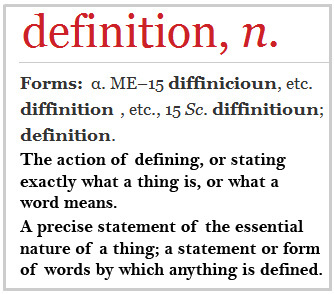 The term has transferred from the theatre to the wider media in modern times. Other definitions of the term include stage, location, TV and video production where props are used. However, still photographers also use the term, especially where studio sets are involved. There’s no doubt prop use can add to the realism of your scene. However, some important things should be considered. Be consistent – ensure props are in a proper time or technology context. Also make sure they are in character as well as right for the location and cultural context. Consider budget. Don’t let your shoot become uneconomic or a professional loss. The most expensive items are not necessarily the best under the camera. Think ahead. Planning a shoot is sometimes a long process. Often the best props are not easily available or need special design. You may also need to consider special licensing or legal documentation, especially regarding weaponry or machinery props. Consider how your props are to be used. Think about what they will look like to your audience too. Don’t forget to consider the effect different types of light you will have if artificially lighting the scene. (See the design section below). Safety on-site during the shoot is important. Props can be dangerous for you and any talent, actors, photographers or audiences around the shoot. You should include a health and safety risk assessment for all equipment you want to use. This will cover you in case of legal action. (For more safety concerns see the design section below). It is common in all media to design props for use in acting, shooting film or still images. The aim of such design is to ensure that items your talent or actors use will meet the expectation of an aware audience. Modern audiences immediately notice poor quality, lack of reality, out of character props or ones out of context. Prop design should include careful safety control. Use of live weapons in a media context is inappropriate or dangerous for you, actors and others. So careful design, manufacture or purchase may be needed. Props, furniture and other equipment used must also be designed for safety. Equipment is often destroyed in a dramatic context. So designers must not only consider the safety of the item during normal use. Also think of its safe use during its destruction or action shots. Design should also be taken into consideration for the media type. Props may not look realistic on camera or under bright lights – even if they are the real thing. Some design and/or colour changes might help improve the realism for the target media. It seems odd to design and build from scratch something that is commonly available. However, things are often distorted by the camera and lighting. That has a significant effect on the final realism of your scene or shot. Ultimately, photographers should consider what will look real to the audience once image processing has taken place. It is worth planning and thinking ahead when props are used.